The first Sheboygan hopper train of 2012 heads south past the Belgium passing siding and a seldom-used industry track. 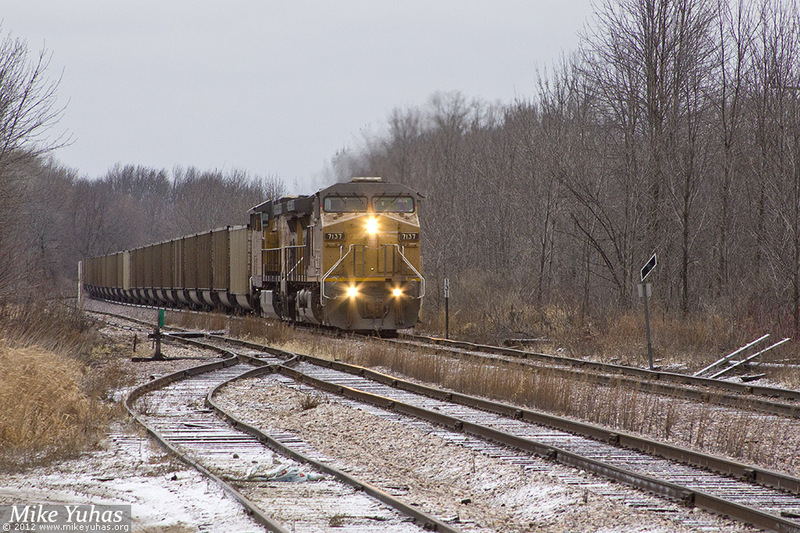 When this train went north early yesterday morning, it was the 173rd - and final - loaded Sheboygan coal train of 2011. In 2010 there were 169, and in 2009, 157.